Water damage restoration from 911 Restoration of Central Illinois brings you the aid of Alex and Aaron Peters, a father and son team with a history of care and compassion. These two have set their life to helping those in need. Alex Peters is a retired member of federal law enforcement and now spends his time building his family legacy with 911 Restoration and supporting the Intellectual Disability Drive. Aaron Peters left his job as a mechanic to join in his father’s endeavor, but he still makes time to volunteer with the Boys and Girls Club. These two prefer to work in a way where they can connect with people, their customers. The restoration business allows them to do this. 911 Restoration is the fresh start company because we believe that everyone deserves a fresh start. Therefore, we are the positive in your negative situation. We listen to our customers’ needs while always being humble. We will continue every day to do it all over again to support our entire community. In order to further support our customers and communities, the Peters offer a few ideas on how to keep your home safe. Many people do not think of flooding or fires until after they have gone through the ordeal. Whether you’ve been a victim of sewage backup or you have called us for smoke removal on your walls, we will provide ideas on how to prevent it from happening again. Leave your cabinets open during the winter with your heater on so your pipes do not freeze. Make sure you have working smoke and radar detectors in all bedrooms and hallways. 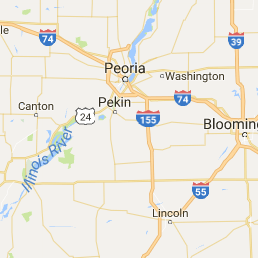 Springfield, Peoria, and much of Central Illinois is subject to seasonal flooding and tornadoes. Prepare your property with the proper insurance and fortifications ahead of time. If your home or business floods, you need a professional water damage restoration team to fully repair your property. Our water restoration technicians are trained in mold remediation and removal so we will fully restore your building and prevent future mold growth. Any type of disaster can shut down your business until it is safe for employees to return to work and for customers to shop once again. We can section off portions of the business to keep your business running while disaster restoration takes place. 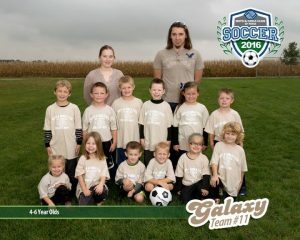 Call 911 Restoration of Central Illinois to receive the helping hand of Alex and Aaron Peters.